Tile flooring is an excellent alternative to hardwood and vinyl flooring. Tile is known for its superior durability and unlike other flooring options, it is scratch and stain resistant, and temperature tolerant. Although tiles are commonly found in kitchens and bathrooms, tile flooring delivers a beautiful style and design to any room. Whether ceramic or porcelain tile it provides superior surface feel of natural stone and it is easy to maintain and care for. 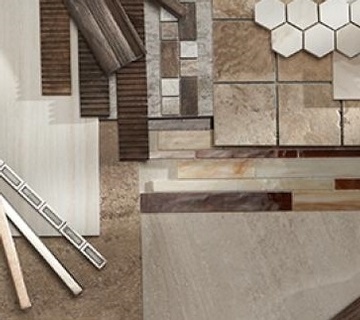 Ceramic and porcelain tile comes in many colors, designs and sizes to fit your home design. Because of tiles durability, it is an excellent investment as it could last you a life time. Experienced Flooring Contractors at Baila Floors provide professional Tile Flooring Installation Services for residential and commercial clients across Palo Alto, Los Altos, Mountain View, Cupertino, Saratoga, Los Gatos, San Jose, Oakland, Menlo Park, Redwood City, San Mateo, San Bruno, Burlingame, San Francisco, Los Altos Hills and the surrounding areas. Contact Baila Floors to discuss right flooring options for your home.